The Wash Rack Modular allows adapting to all configurations requested by the customer. 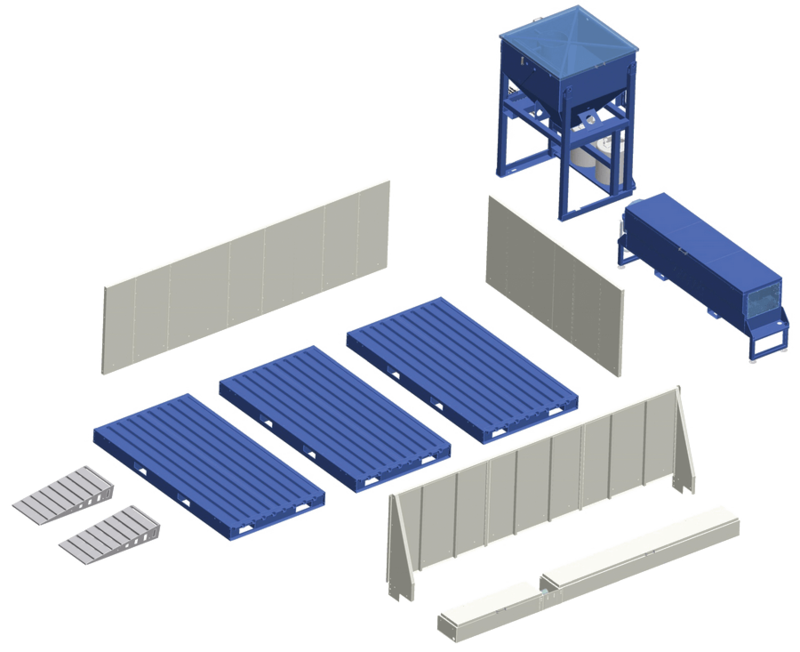 The arrangement of the platforms, the maximum load capacity, the arrangement of the walls and of the tanks and filtration system position. The Wash Rack Modular is available in 4 basic models, each one can be customized to suit customer’s need. SIDE TANK: choose the side you prefer (left or right) and, in case of a Wash Rack model D, you’ll get one on each side. WASH RACK DECANTER: an additional decanting tank of 1000 liters specifically recommended for big sized Wash Racks and in presence of high quantity of mud. Thanks to this option, water is separated from most of the mud through decantation before going to the main filtration system. A kit of dosing pumps for flocculants to treat colloidal mud is available on demand for the Decanter.